Hollywood is one crazy town filled with loony behavior. With the Me Too Movement and the many violent movies they produce, they pretend to have a moral high ground that just isn’t there. They have a “do as I say, not as I do,” approach to everything. Just like in the movies, Supreme Court nominee Brett Kavanaugh was just accused of sexual assault and there was a good old fashion crazy Hollywood twist to it. 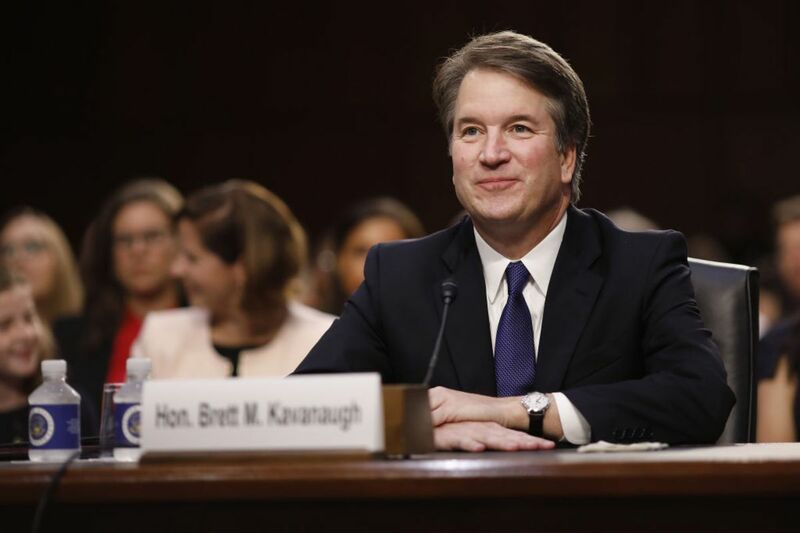 President Trump handpicked Brett Kavanaugh to be the new appointee of the Supreme Court. Unfortunately, Democrats do nothing but drag him through the mud with ridiculous partisan questions during his confirmation hearings. Make no mistake; they will do anything to keep him off the bench. One wild coincidence is that a psychology professor named Christine Blasey Ford who just accused him of sexual assault when they were in high school. Another wild coincidence is that President Trump-hating actress, Julia Louis-Dreyfus, went to school with Ford. Dreyfus is largely known for Elaine in Seinfeld and playing the Vice President in Veep. And Dreyfus was one of many alumnae who signed a letter in support of Ford. The point of the letter was to defend her character. Those that signed are alumni of Holton-Arms private girls school in Bethesda Maryland. They also demanded an investigation into the matter. This is all very suspicious. This alleged sexual assault that Ford claims happened over 30 years ago. She could have done this years ago. Ford waited until his Senate confirmation hearing in order to do speak up about her allegation? The psychology professor accuses Kavanaugh of groping her while she was in a one-piece bathing suit, grinding his body against hers and covering her mouth so she couldn’t scream. In fact, one of Kavanaugh’s friends, Patrick J. Smyth, revealed that this simply wasn’t true. They were ex-classmates at Georgetown Prep. Ford claims that both were at this alleged party and Smyth was witness to it. This was an open letter to the Senate Judiciary Committee. But it’s oddly coincidental that Julia Louis-Dreyfus went to school with the accuser. Dreyfus’ show Veep is about a Hillary Clinton-type character as Vice President. And somehow Sen. Dianne Feinstein and the liberal Washington Post revealed this story just in time for Kavanaugh’s vote? It sure seems like something is “afoot here” as they say in the movies.